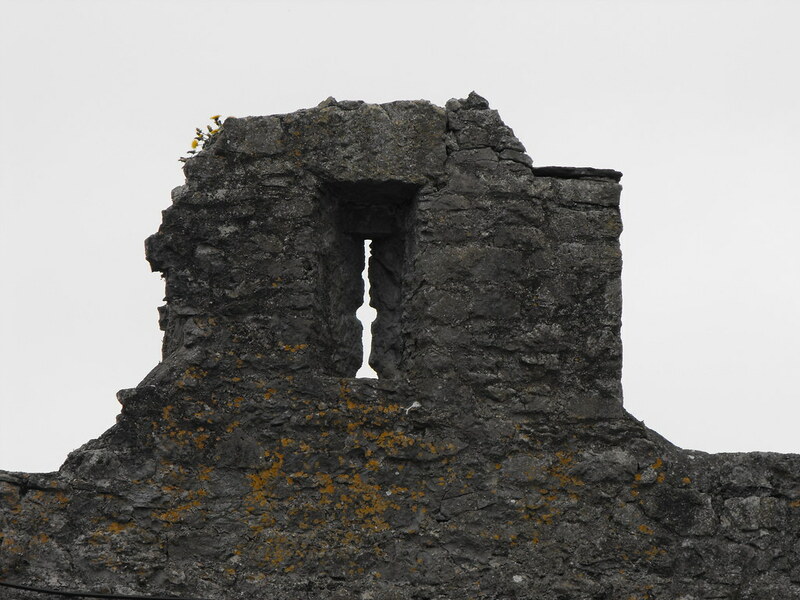 The Standing Stone: Desmond Castle and the Hellfire Club, Askeaton, Co. Limerick. 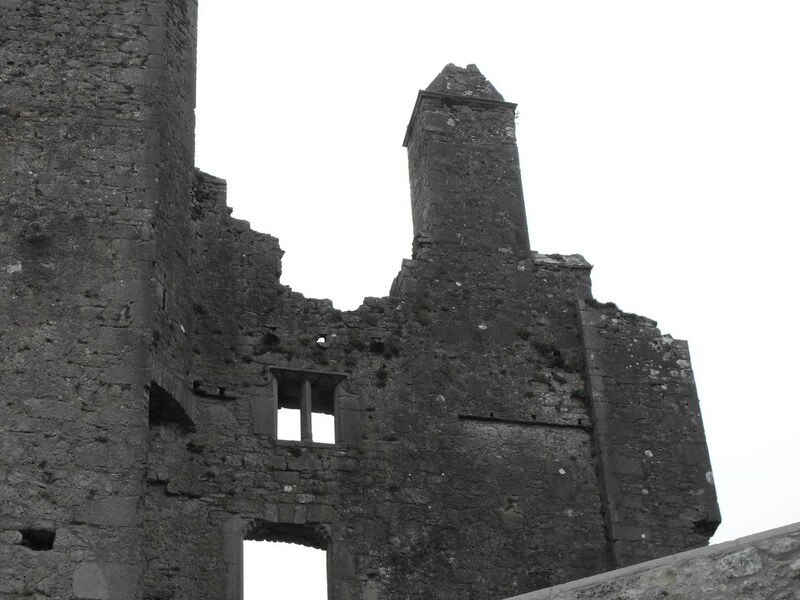 Desmond Castle and the Hellfire Club, Askeaton, Co. Limerick. 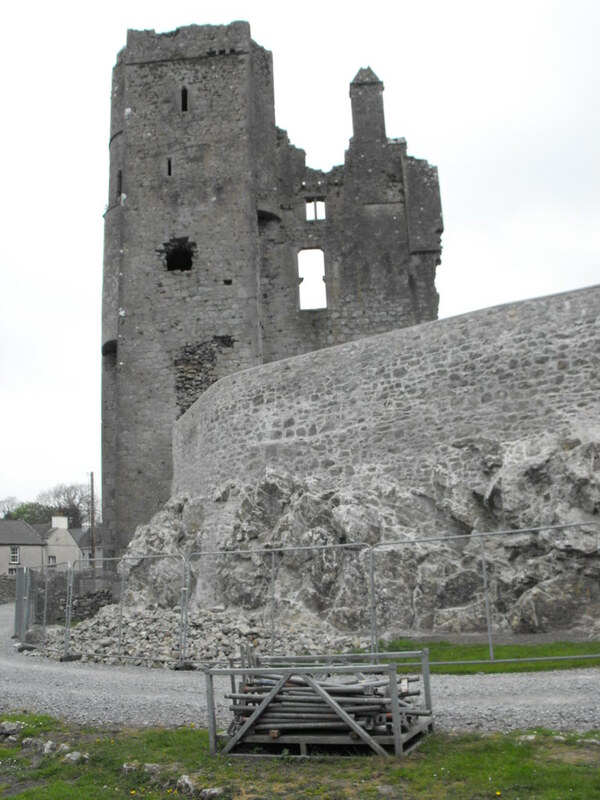 Location – On the N69 in the centre of Askeaton. 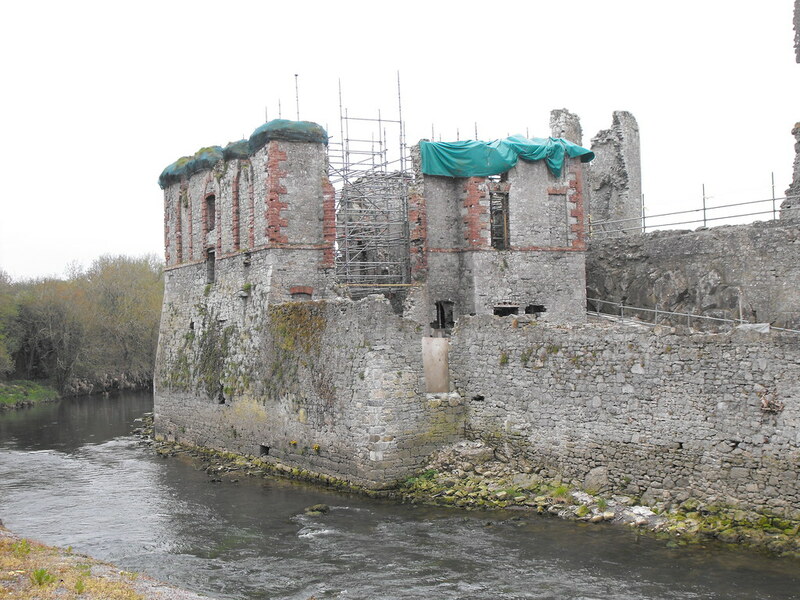 The castle is on its own little island in the River Deel. It is connected to the road via a bridge. 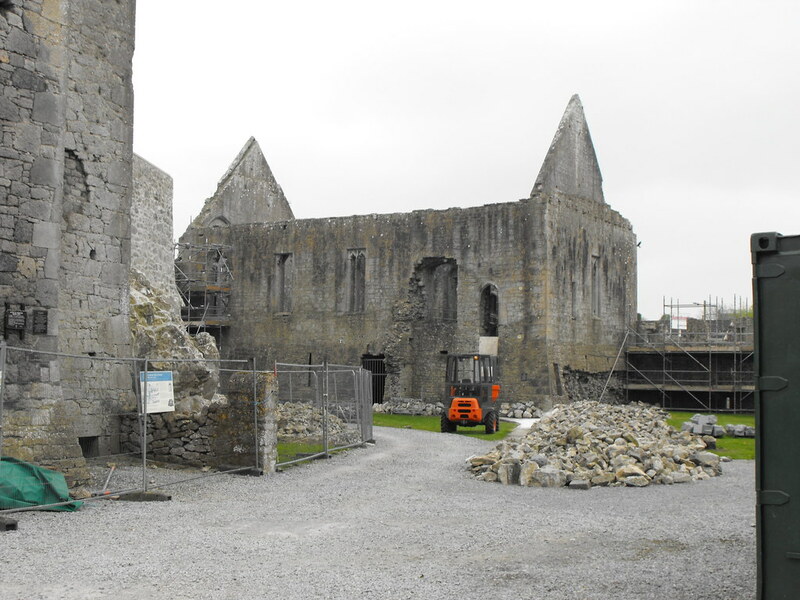 Description and History – Like the nearby friary, this site is really fantastic and has such a rich history. 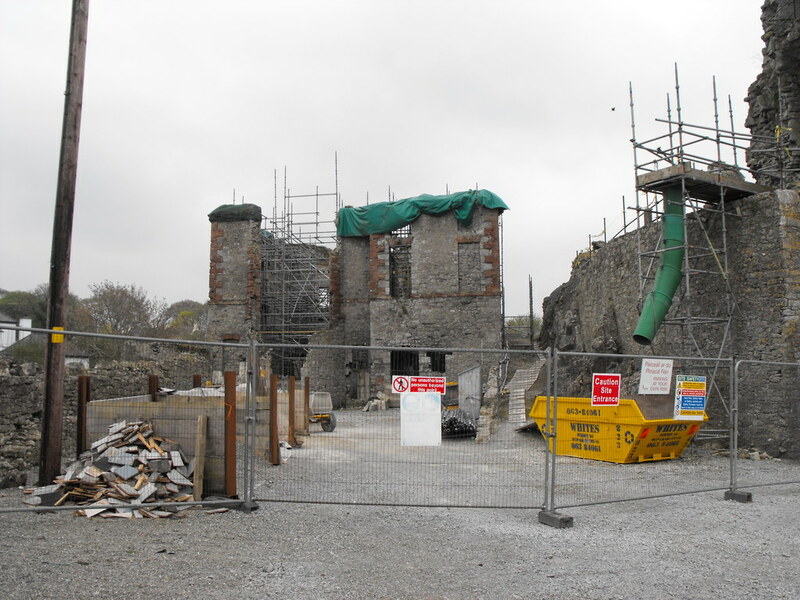 At present it is only open to the public on Saturday and Sundays as the castle is being conserved and is being worked on during the week. 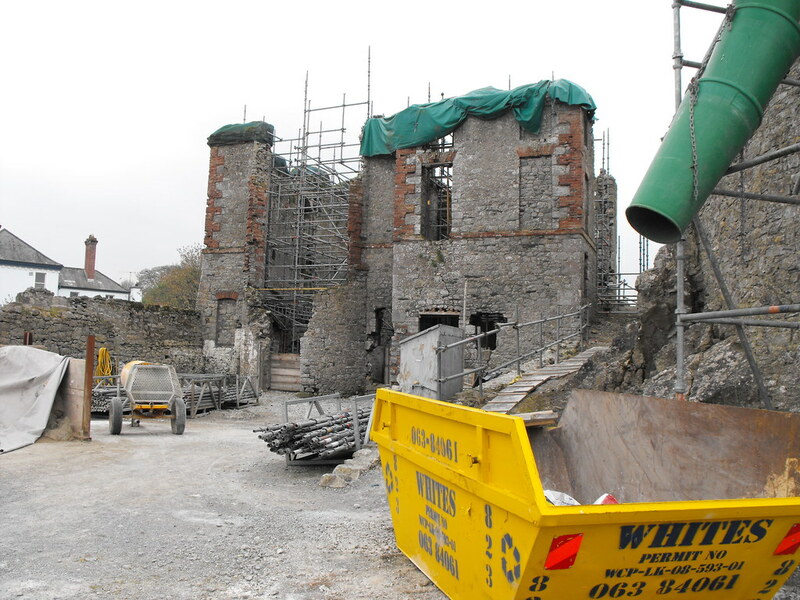 While it is great to see the site being looked after so well it means that you have to be taken in by a tour guide and can only see certain areas and cannot get inside any of the buildings at the present time. But in the long run it will last many more years because of this essential work. 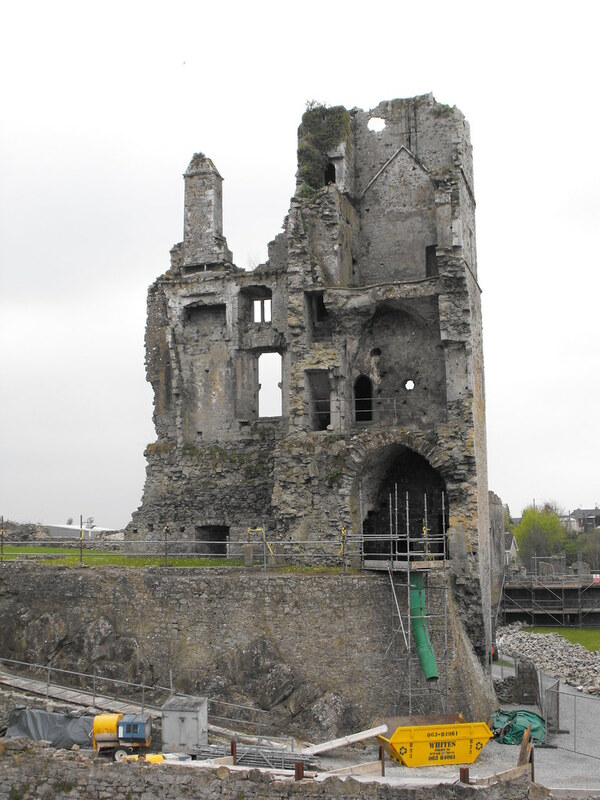 Dominating the town, Desmond Castle was built in 1199 by William de Burgo and it became the dwelling place of the Kings of Munster. 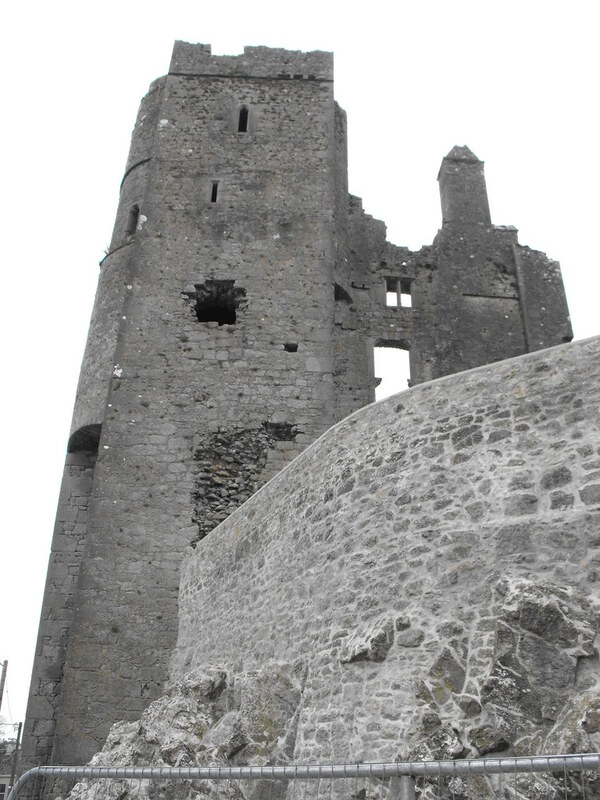 The castle was built for defence and is perched on top of a rocky outcrop. 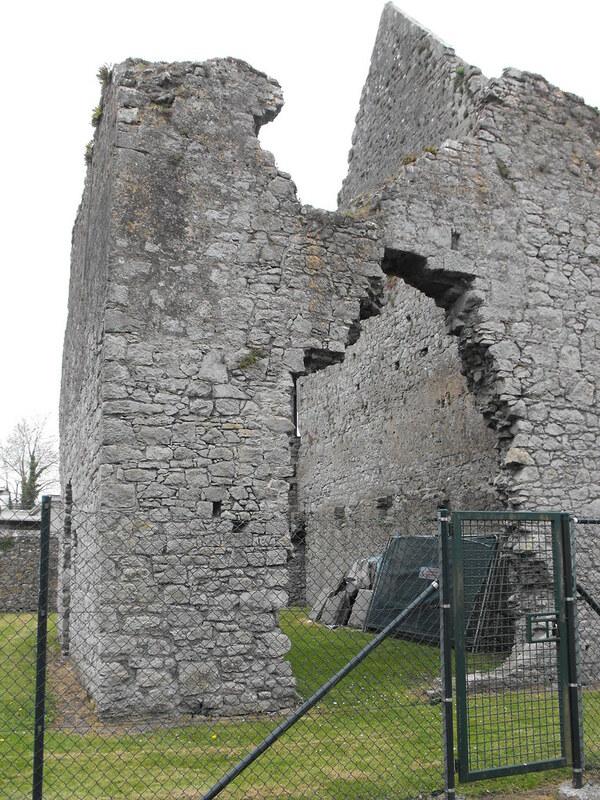 The original castle was rebuilt in the 13th century and parts of this foundation still remain. 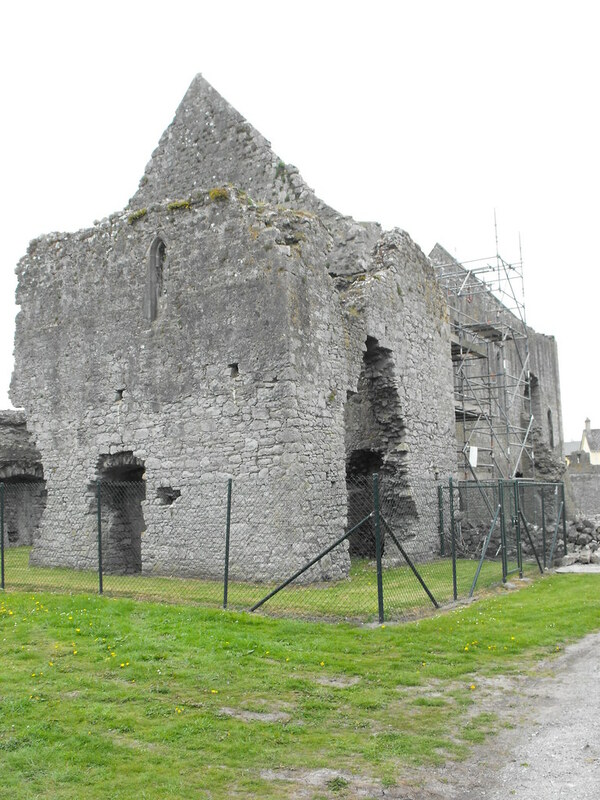 Thomas de Clare was owner of the castle in 1287 but it was granted to Robert de Welle by King Edward II in 1318 and by 1348 the Earls of Desmond has made the castle their main seat of power. 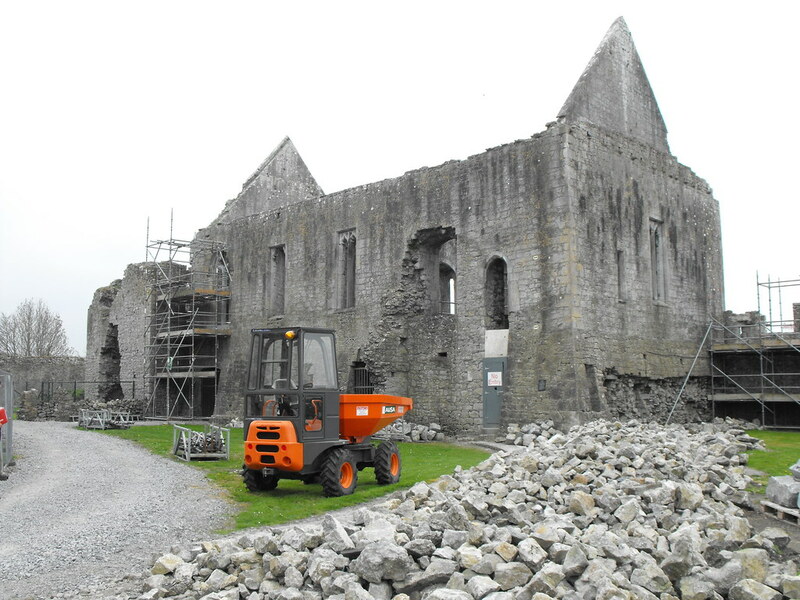 The castle went through another phase of rebuilding in the 15th century and most of the remains date to that period. 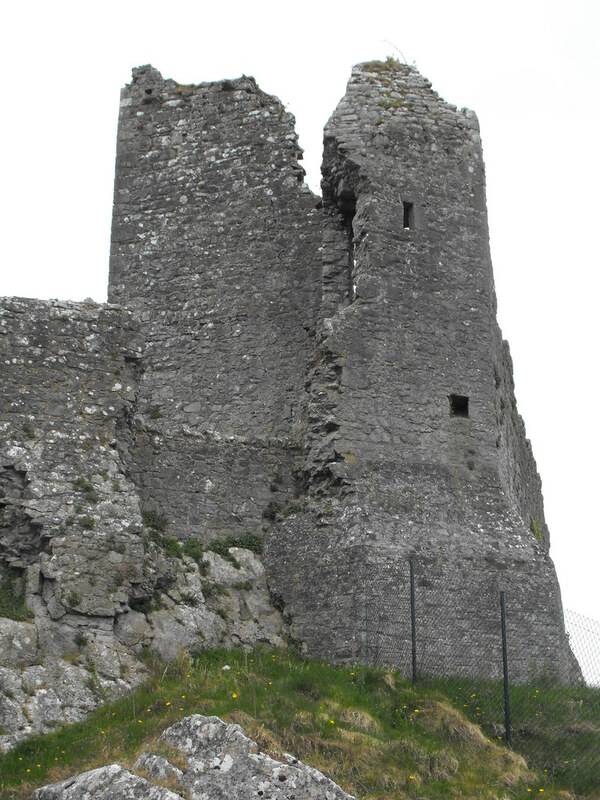 English forces attacked the castle in 1579 when the Earls of Desmond rebelled against the English crown. 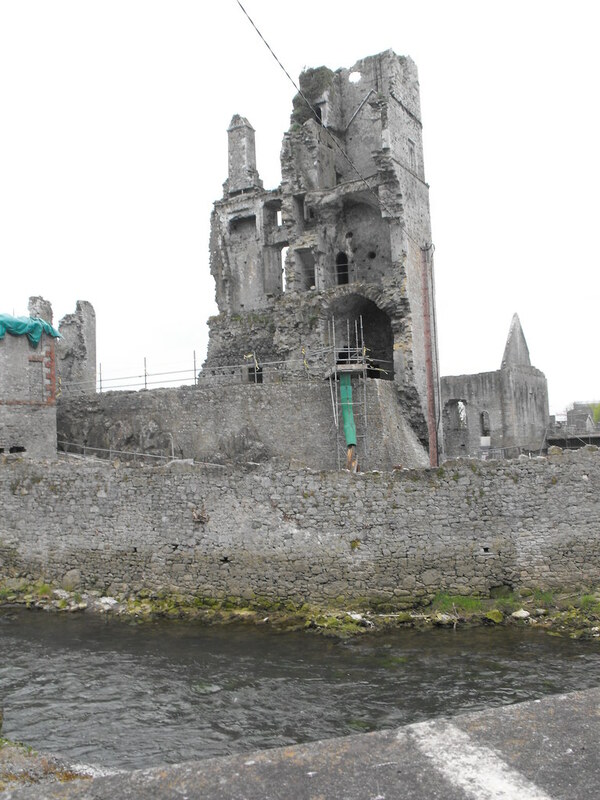 When the English forces failed to take the castle they burned the town and attacked the friary. 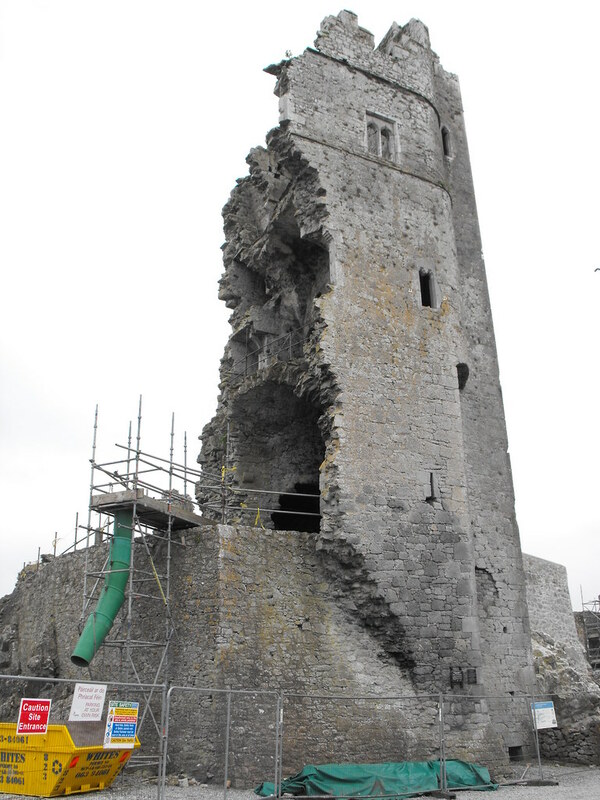 In 1652 the castle was dismantled by the Cromwellian forces and remains the same to this day, slowly crumbling away until restoration work was begun. Also in the grounds is a banqueting hall built in 1440 by the seventh Earl of Desmond. Known as ‘Halla Mor’ (the great hall) it is one of Ireland’s finest examples of a banquet hall and has a fine groin vaulted chamber on the first floor which is part of an earlier hall built on the same spot. A small medieval church is attached to the rear of the hall which is largely featureless with only one window remaining. Next to the castle is the infamous Hellfire Club which was built in 1740 (curiously the same year that the friary was finally abandoned) and is constructed of a mixture of red brick and stone. The Hellfire Clubs, found throughout Ireland and Britain were gentleman’s clubs where rich men would gather to drink, play games and meet prostitutes. Many stories of the occult surround the various Hellfire Clubs with the devil himself being said to have frequented certain clubs. Some clubs even have stories of human sacrifice attached to them but how true these stories are remains to be seen. One thing that did come out of the Hellfire Clubs is the tradition of mixing whiskey and cream known as ‘scaltheen’. It was a mixture of whiskey, cream and butter which was heated by a red hot poker. The club closed down by 1800. The façade of the building collapsed in the 1990’s. 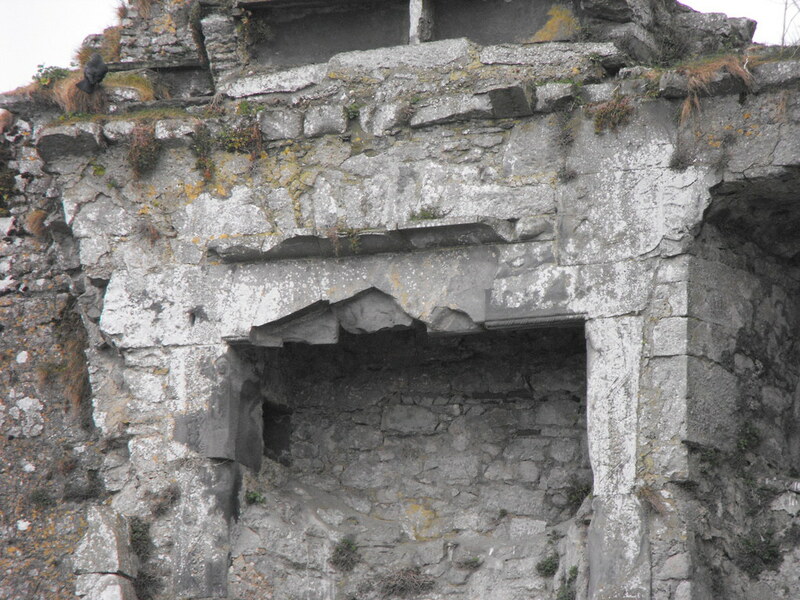 As you can see one wall of the castle has been completely ripped off leaving the layout of the inside clearly visible. As viewed from the bridge. The surrounding wall looks fairly new here and that is the result of the conservation work. The wall is original but has been well cleaned up. Built on a natural rock outcrop it gives the impression of being much bigger than it actually is. It is a very imposing building. 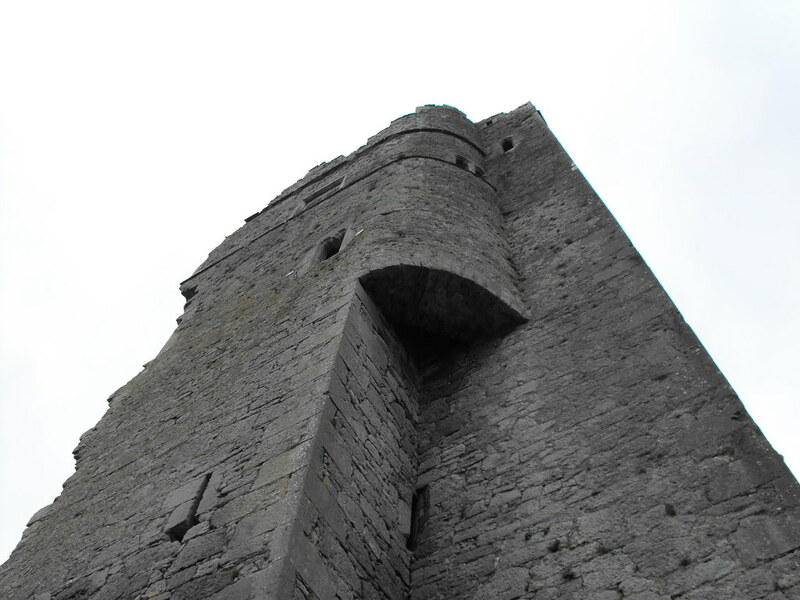 As castles go this one is fairly narrow. 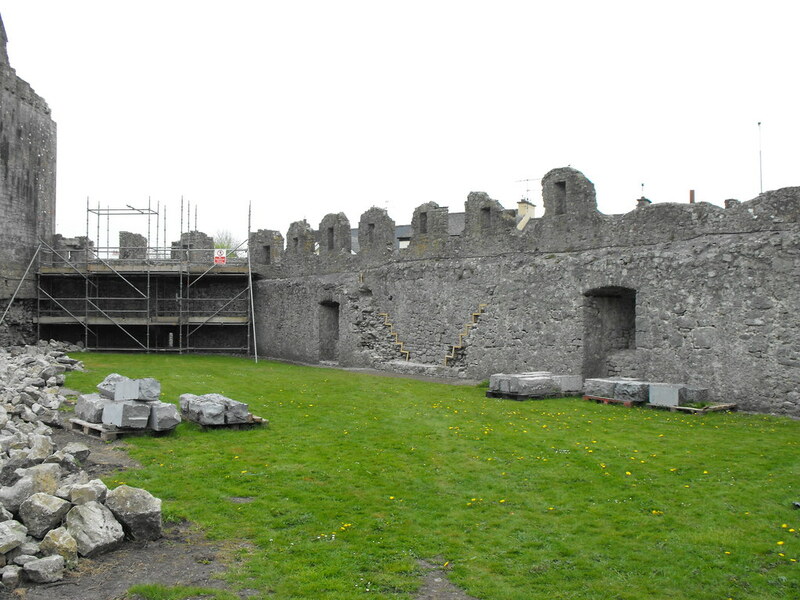 Part of the rear of the castle. 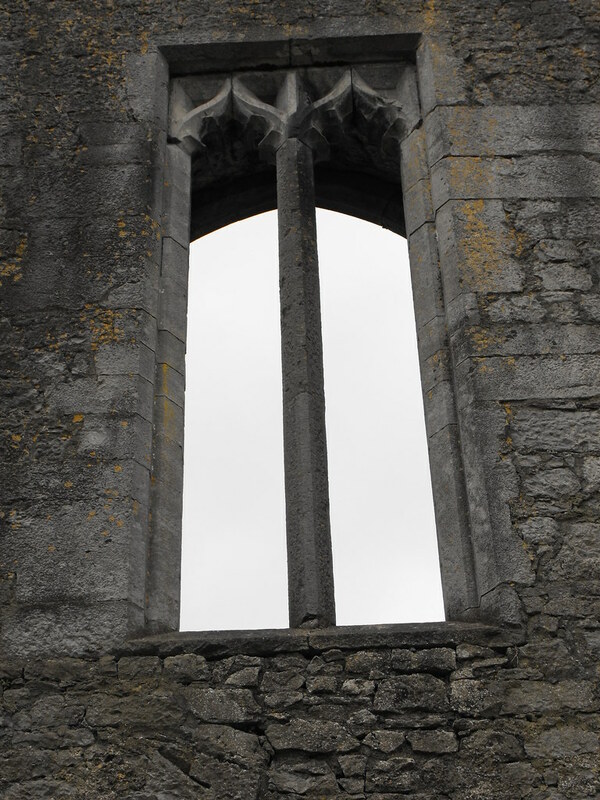 Close up of some of the windows and chimneys. The fireplace in the castle. You can just make out the coat of arms of the Earls of Desmond on the upper right hand side. Part of the wall that surrounds the whole site. A wall walk is visible below the crenallation. 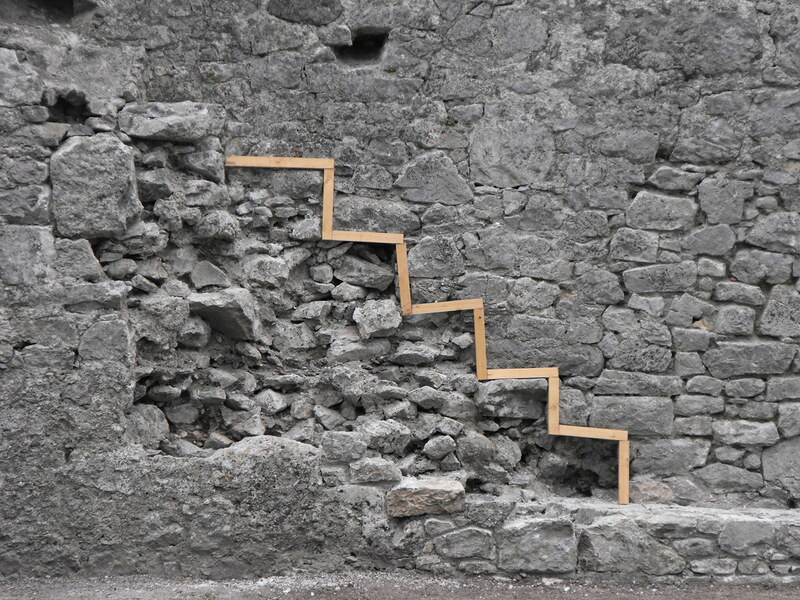 The steps are covered to avoid wear and tear during restoration. One of the many arrow loops on the outer wall. 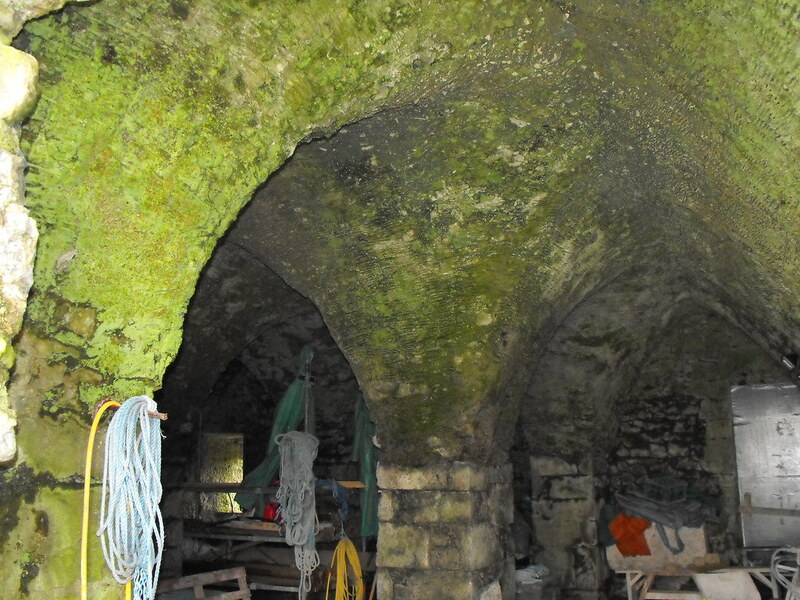 Impressive groin vault under the banquet hall. 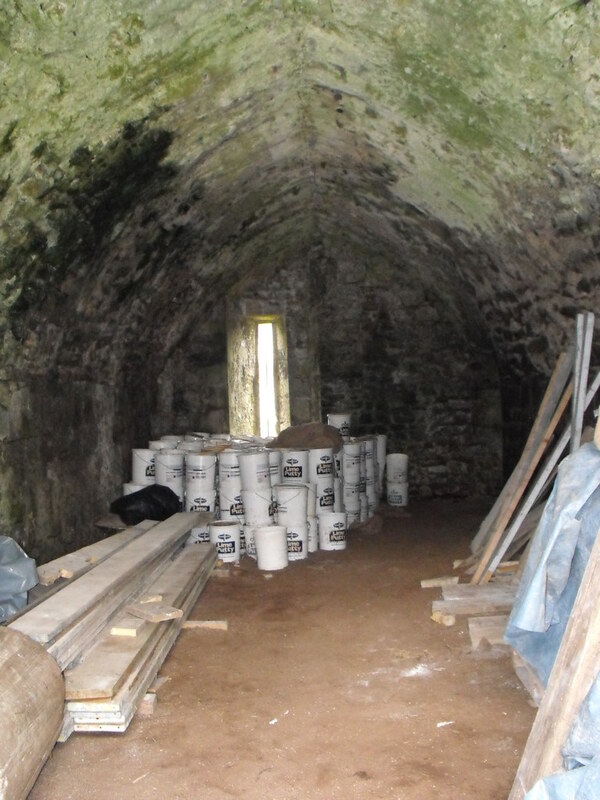 Barrel vaulted chamber being used for storage during conservation. One of the windows in the banquet hall. Small chapel attached to the banquet hall.